In the middle of the unforgiving West Texas desert and hours from the nearest US town, you’ll find a Mexican border crossing unlike any other port of entry to the United States. 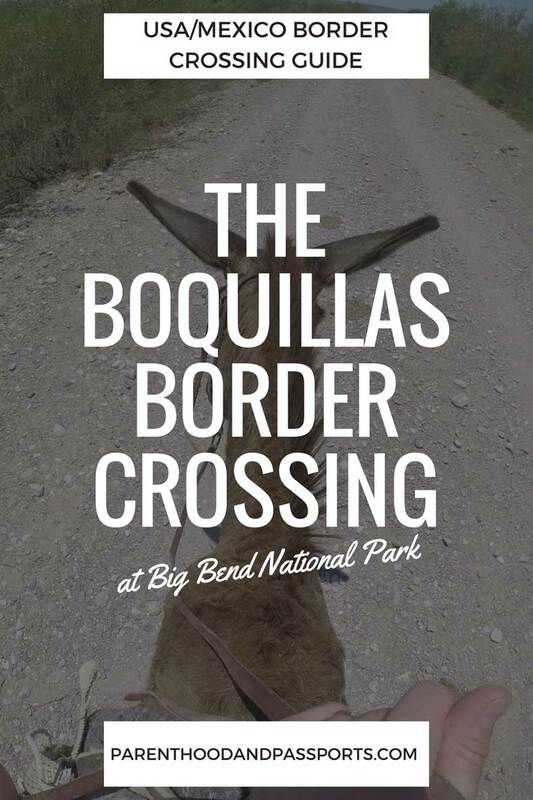 Welcome to the Boquillas crossing inside Big Bend National Park. At this remote US-Mexican border crossing you won’t find long lines, a bridge, or even border patrol agents. 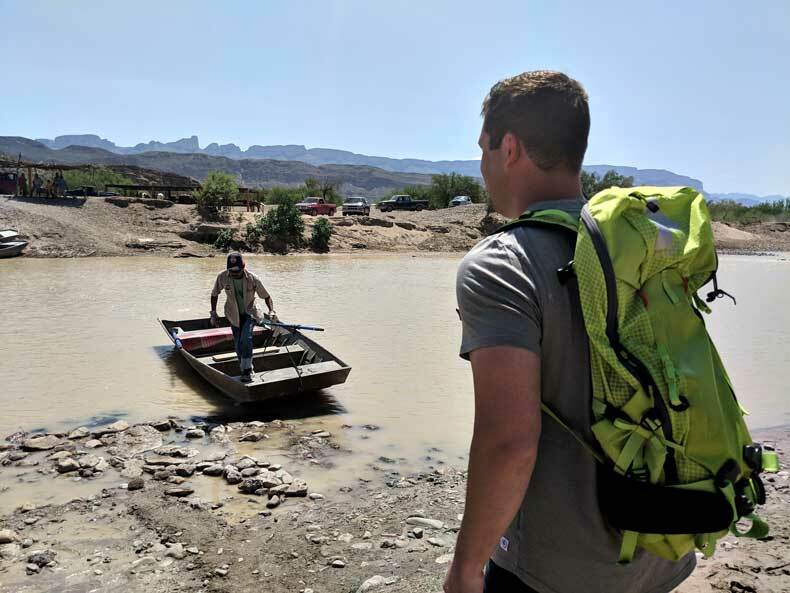 Just a friendly park ranger and a few Mexican nationals equipped with row boats and donkeys to help you on your journey to the small village of Boquillas del Carmen, Mexico. This safe Mexico border town may sit directly across the Rio Grande River from Texas, but this unique village is far beyond anything you’ve ever experienced before. 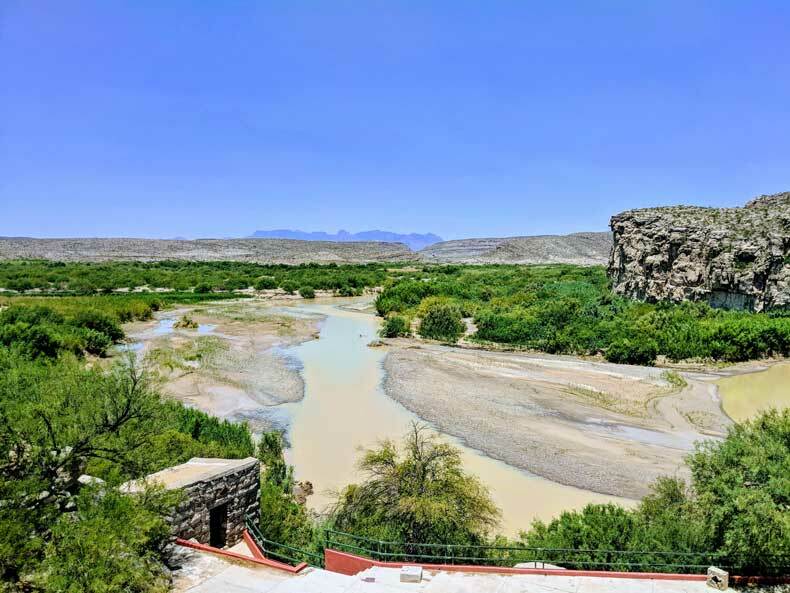 Regardless of where you are coming from, plan to spend a few hours in a car in order to get to the Boquillas crossing in Big Bend National Park. The closest major airports are in El Paso and Midland, Texas. Both are approximately 4 hours away by car. A West Texas road trip is a unique experience, and the Boquillas Crossing is just one of the great things to do on your trip.Upon arrival at the national park, you will have to pay an entry fee of $25 per car. 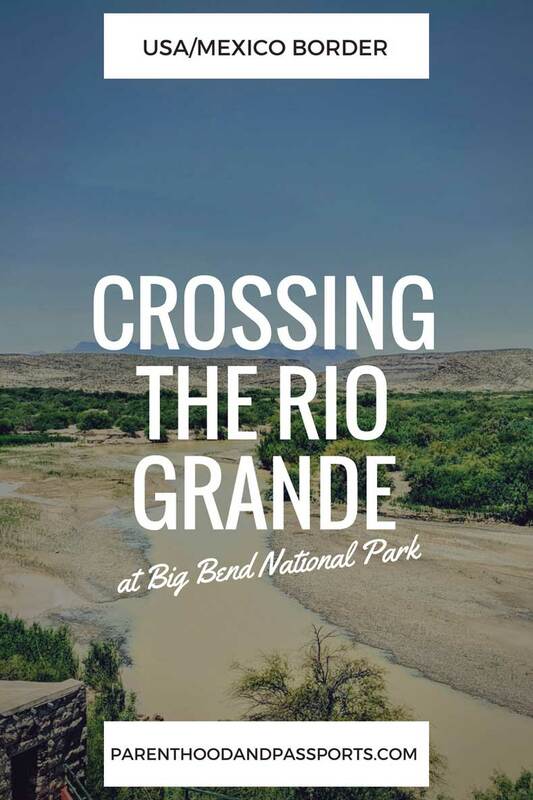 From the entrance of the national park you will follow signs toward the Rio Grande Village. Right before the village, you’ll see signage directing you to a small turn off for the Boquillas crossing. Drive a short distance down a dirt road and you’ll find a small parking lot and a port of entry building. The Boquillas crossing is like an open door between two very different worlds. Arriving at the port of entry you are greeted by a friendly park ranger who will quickly go over a few short rules with you. One piece of information that is very important are the port of entry’s operating hours, which you can find here. The park ranger will ask if you have your passports, but you won’t actually show them until you arrive in Mexico. Within seconds you’ll be out the door and walking down a short, lovely path to the Rio Grande river. At the banks of the Rio Grande, separating the United States from Mexico, you have two options. You can pay $5 per person and take a row boat across, or if the river is low enough you can wade through the water and cross on foot. If you choose to cross the border by boat, the $5 fee also covers your trip back across the river at the end of your visit. Because an extremely small number of tourists are what keep this town alive, I recommend paying for the row boat to support the village. 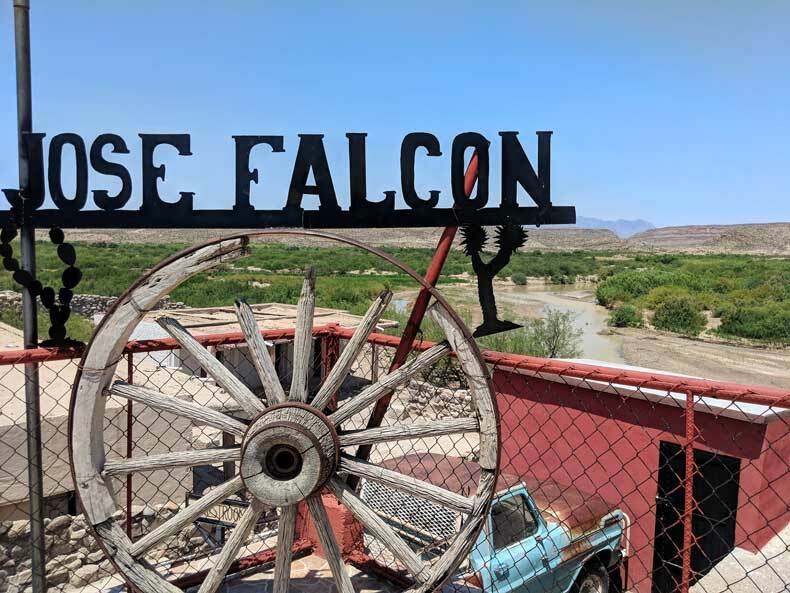 Once across the river, you are officially in Mexico, but you’re still 3/4 of a mile from the village of Boquillas del Carmen. On the Mexican side of the Rio Grande, there are several options to get to the town quickly and safely. You can walk the short distance from the riverfront to the village or for another small fee you can buy a lift in a truck or ride a donkey or horse to town. 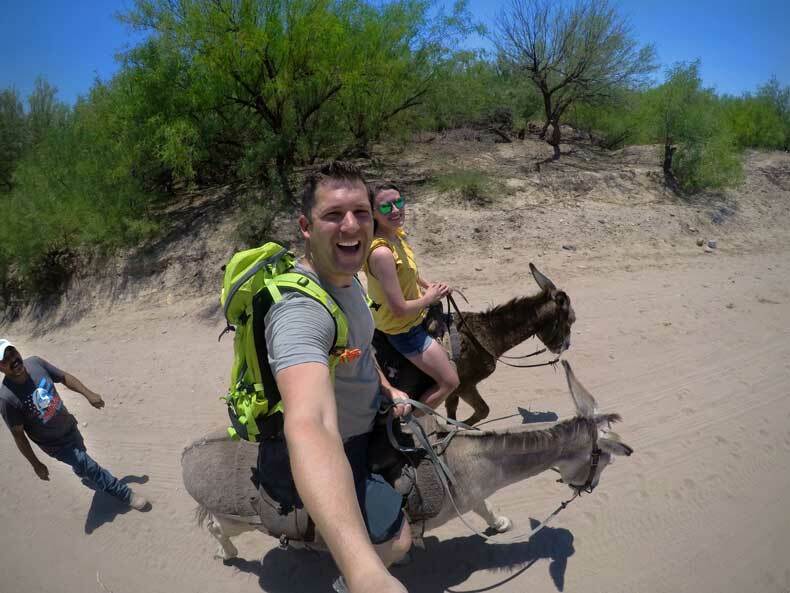 Although we were plenty capable of walking, we opted for the donkey ride because it makes for a unique experience and a great story. The donkey ride cost us $5 per person, which also covered our return trip. If you opt to walk to town, bring water with you, as the temperatures in this part of the world are extreme. When you pay for a donkey ride, you also get a guide who accompanies you on the road, secures the donkeys when you get to town, and directs you to the customs building. Our guide spoke English well and was even kind enough to show us around town and give us a glimpse of what life is like in a rural Mexico. 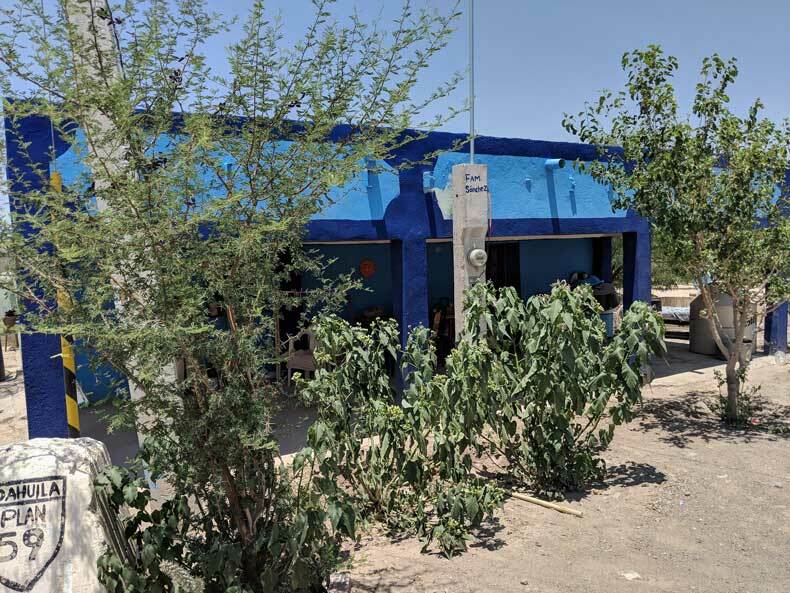 Once you arrive in Boquillas del Carmen, you will be directed to a small trailer where you will fill out a customs form and present your passports. This is likely the shortest immigration line you will ever encounter! There is no cost or tourist tax to enter Mexico at Boquillas del Carmen. A quick stamp of the passport and you’ll be on your way. 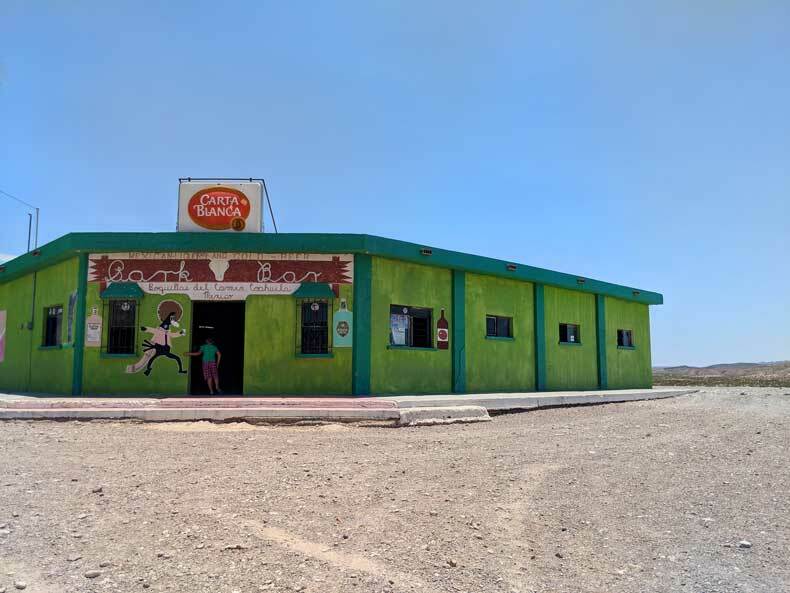 While there may not be a lot to do in Boquillas del Carmen, I recommend coming hungry. 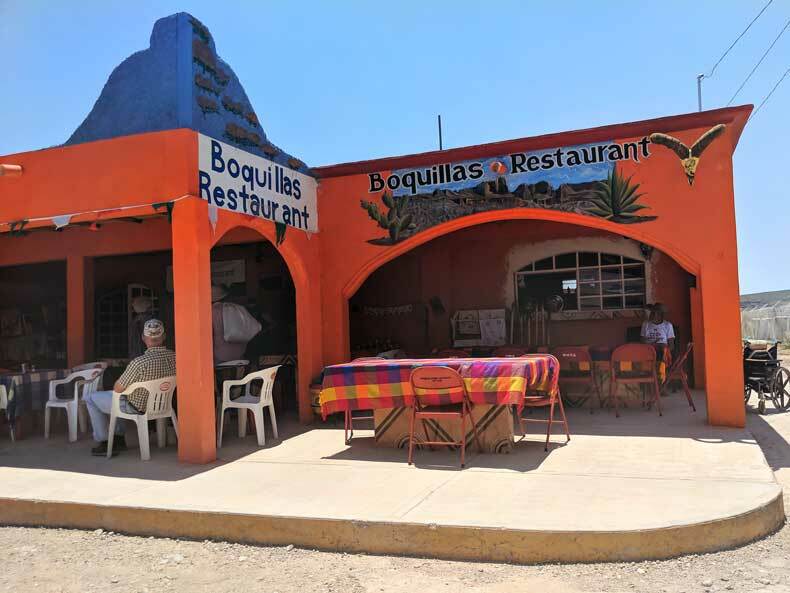 There are two restaurants in the town, Jose Falcon’s and Boquillas Restaurant. Both serve traditional Mexican cuisine. While I’m sure both restaurants are fantastic, we opted for Jose Falcon’s. Despite the hot desert sun, under the covered patio of the open-air restaurant it was a nice temperature. The patio overlooks the Rio Grande river, which is absolutely stunning! The atmosphere was perfect! While we ate, an older gentleman played music for the restaurants patrons. The service was incredible, the beers were cold, and the food was some of the best I have ever tasted! I had the green chili enchiladas, which were spicy and full of flavor. After lunch, we took a quick tour of the village to get a glimpse of what life is like in Boquillas del Carmen. The village is small and walkable. There is no gas station or police station, but you will find schools, churches, a medical facility, and even a hotel that rents beds for $25 a person. Many of the buildings are brightly colored, so while the village is extremely rural, it possesses a simplistic beauty. The entire town is run by solar energy. There is a power plant at the edge of the village that has approximately 9 solar panels that provide electricity to its 200 residents and businesses. After a brief tour around the town of Boquillas del Carmen it was time to head back to the river. We once again paid a visit to the immigration officer and were on our donkeys a few minutes later. Another short boat ride across the Rio Grande river and we were back in the United States. 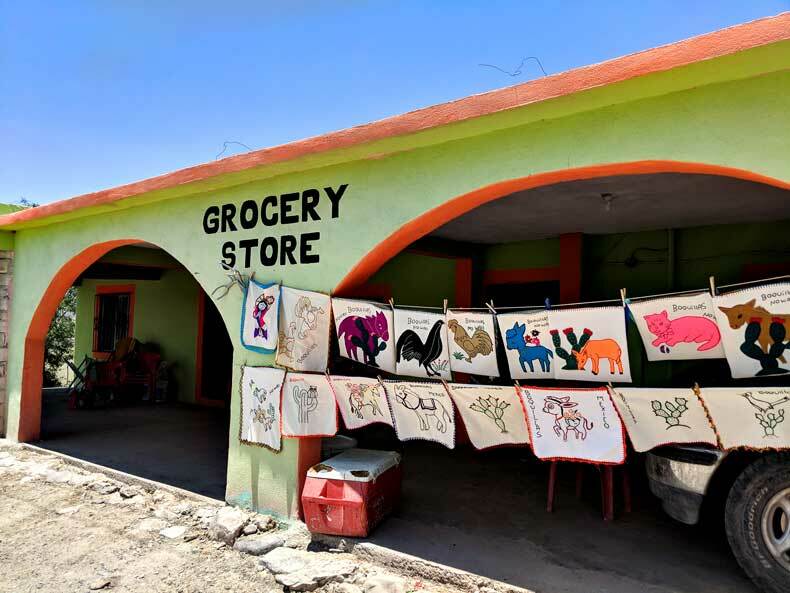 Our visit to Boquillas del Carmen cost us a grand total of $70, including generous tips. Once you are back in the US, you will need to reenter through the port of entry building. There is a small station where you will scan your passport. The machine will then call a border patrol agent in El Paso. You will pick up the phone and he will ask you if you have anything to declare. Each person in your party will have to go through this easy, quick process. Then you will be clear to proceed on your way. 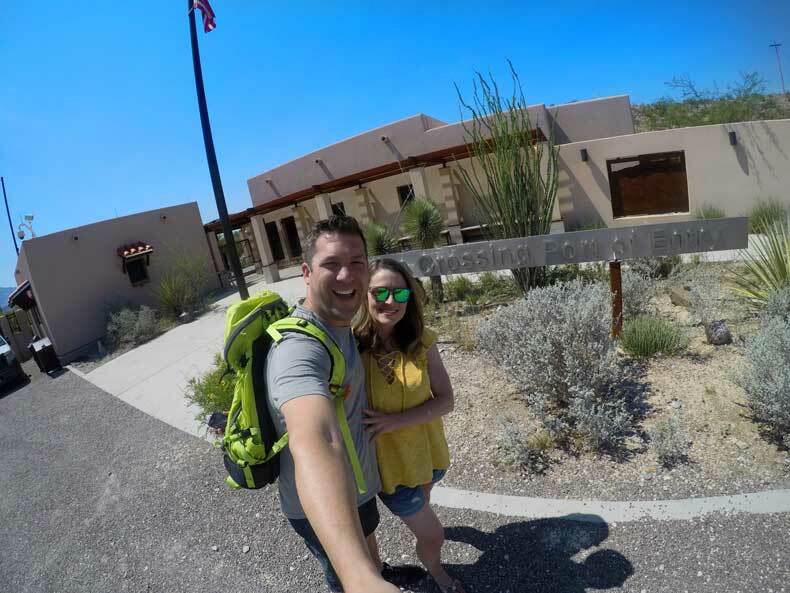 An hour or so outside of Big Bend National Park you will drive through a border patrol station, but they typically will not ask to see passports or identification. A trained dog will likely sniff around your car and you’ll be on your way again. Boquillas del Carmen, Mexico is about as off the beaten path as you can get. Roughly 200 people live in this remote village 3/4 of a mile from the US border. While some other Mexican border towns are known for violent crime and cartel problems, you won’t find any of that in Boquillas del Carmen. The remoteness of this tiny village makes it perhaps the safest border town in Mexico. Tourism from the US is the only thing keeping this desert town alive. But a visit to Boquillas del Carmen will feel anything but touristy. 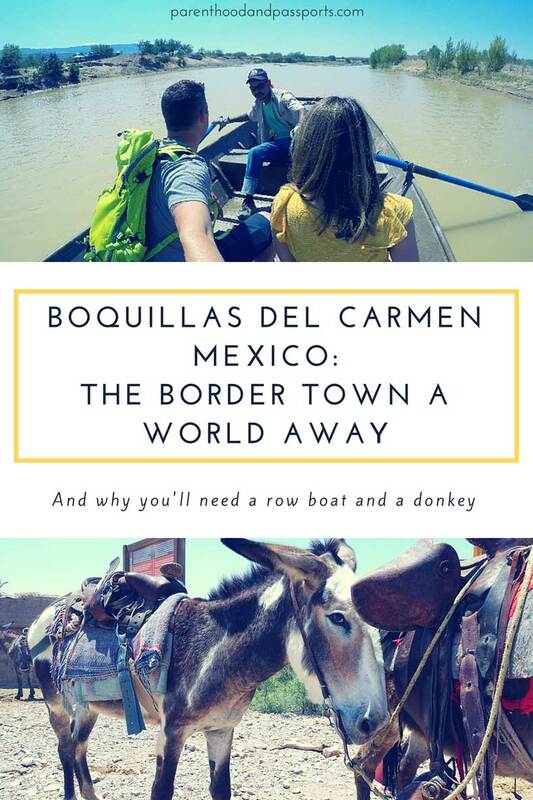 Only about 10-20 people cross the border to visit Boquillas del Carmen on a typical day. That number may be even less during the intense summer months when temperatures can exceed 110 degrees Fahrenheit (43 Celsius). 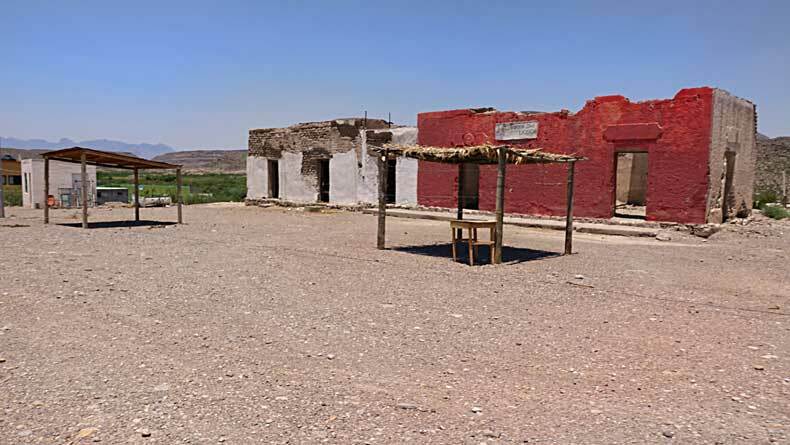 The village of Boquillas del Carmen has been around since the late 1800s. It was originally established as a silver and lead mining village, but when the mining ended in the early 1900s, a few families stuck around despite the harsh environment in this part of Mexico. They managed to survive and keep the town going by entertaining a small number of Americans who would cross the border to visit the Mexican village. But the resilience of Boquillas del Carmen was tested again in 2001. At the time the town had grown to roughly 300 people. But after the 9/11 attacks in the US, the Boquillas crossing shut down. The town quickly shriveled in size as families left to find work and better opportunities. Finally, in 2013 the crossing was reopened and new life was breathed back into the border village. It has now rebounded back up to around 200 people, and has added a solar energy plant that provides electricity for residents and businesses. The village also has schools for the 24 kids who live there, a small medical facility, hotel, 2 churches (Catholic and Baptist), 2 restaurants, a bar, and a grocery store. 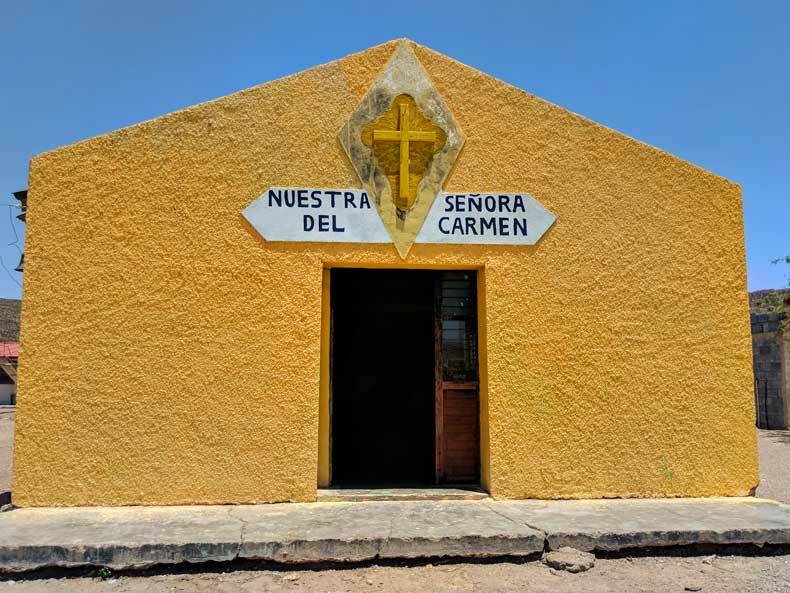 If you plan to visit Boquillas del Carmen there are a few things to prepare for and know ahead of time. First, and perhaps most importantly, prepare for the heat. I grew up in West Texas, so I am somewhat acclimated to the intense desert sun and the 100+ degree temperatures. But whether you are used to the heat or not, you may not be use to exerting yourself in those temperatures. So bring plenty of water. You can take it with you through the border crossing. We brought two Nalgene bottles of water in our backpack, and drank both during our short trip. Wear walking shoes, sunscreen, a hat, and breathable clothing. Also, because the US-Mexican border has a bad reputation for being a violent place, I should reiterate that this is NOT the case in Boquillas del Carmen. The town in safe, and the people are welcoming. I don’t know when the town last had a reported crime, but I don’t think they even have a police station. Finally, as unique as this port of entry is, it is still a legal border crossing, so you must have your passports to visit the town. As I mentioned earlier, Boquillas del Carmen needs tourism desperately. It is all that is keeping the town alive. Crossing the border at this port of entry is such a unique experience, especially for this part of the world. Most border crossing into Mexico from the United States involve heavily armed agents, barbed wire fencing, and extremely long lines. But this one is completely untainted by any of that. 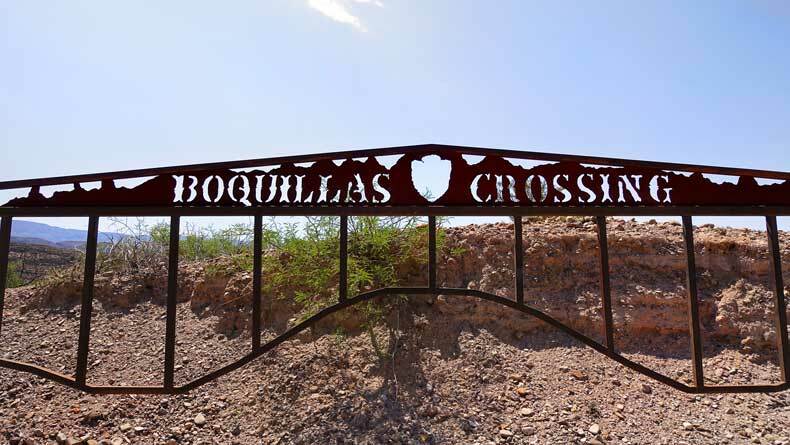 Sadly, who knows how long the Boquillas crossing will be around. Given the current political climate in the United States, all the talk about a building a wall between the US and Mexico, and the overall antagonistic stance on immigration taken by the current administration, this experience may not be around forever. 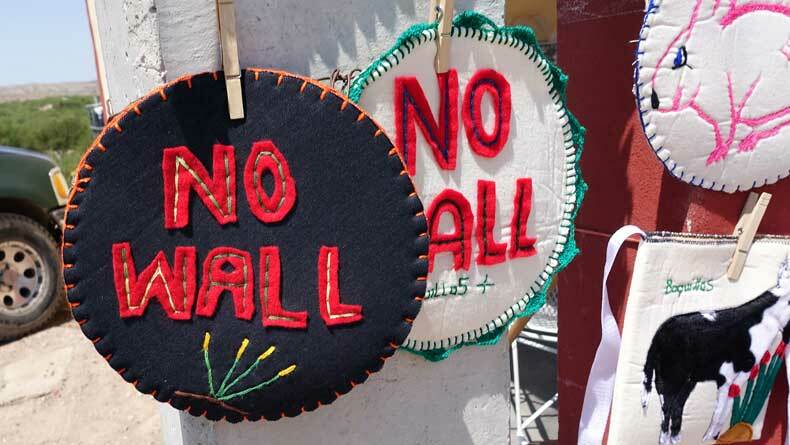 Understandably, if you visit Boquillas del Carmen, you will leave knowing exactly where they stand on the United States immigration policies and the proposed border wall. And if you’re curious, you can also read where I stand on the issue of immigration. I’ve always been enamored with Mexico. In the last few years, we’ve visited several different parts of this incredible country. Each region we’ve visited is different and lovely in it’s own unique way. From the cosmopolitan capital of Mexico City, to the beautiful beaches of the Yucatan peninsula, and now to the rural and remote village of Boquillas del Carmen – my love for Mexico only grows stronger with each new place we explore. And this safe Mexico border town is definitely worth exploring! 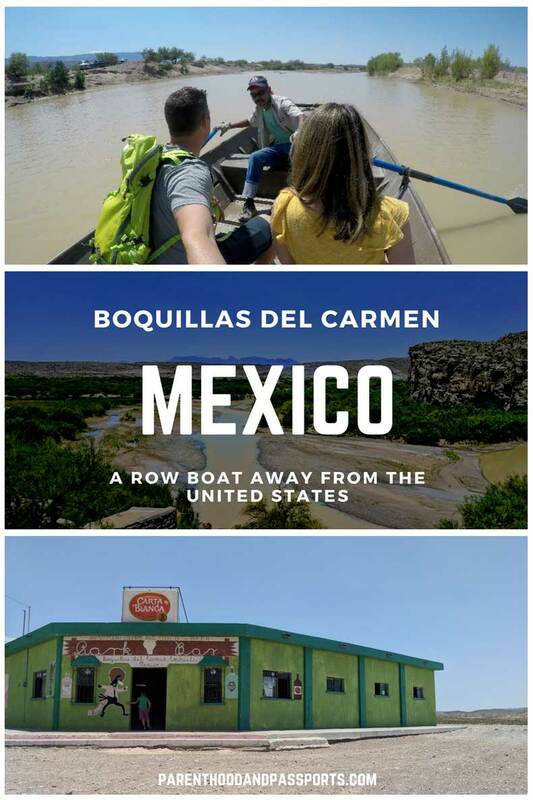 Have you been to Boquillas del Carmen or crossed the Mexico border at Big Bend National Park? We’d love to hear your experience! Leave your comments below. This was fascinating! I wish that I had visited here when I crossed over the border. I visited a larger town, which felt safe, but I would have preferred to visit this cute village! My brother, his wife and I visited Boquillas del Carmen a few years back and had such an adventure! It was everything you wrote about minus the solar power. Our guide showed us through the town including the new medical facility and the one phone in town. We ate a wonderful meal on the patio at Falcone’s, interacted with the children of the village and had a beer at the town bar. My brother had visited Boquillas many times as a college student doing geology field work in Big Bend and was happy to see the town open to visitors again. It is a lovely place and such a treat to have visited. I agree! We plan to do some camping in Big Bend this spring and will pop back over for lunch with our toddler. She will love the experience! We were there from Virginia, camping in the NP, in about 2007. Of course the border was closed. We looked longingly at the village, but couldn’t visit. We are going to Big Bend next week, and will almost certainly go over there to eat and have a beer. On the trail near the campground, there was a spot where a man had left sotol sticks and little wire sculptures. We bought some, even though we were told it was illegal, and our items would be confiscated by the US rangers. We still have them. Love west Texas!! Have fun next week! There is a woman who makes homemade tortillas in her home that you should definitely pick up while you’re there.